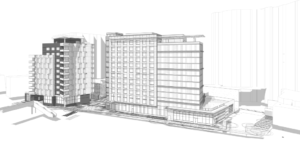 The 82,938 sq. 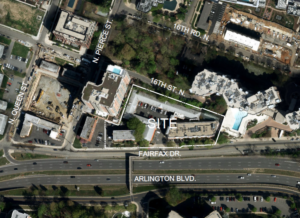 ft. (1.9 acre) site is bounded by Fairfax Drive (south) and 16th Street North (north). 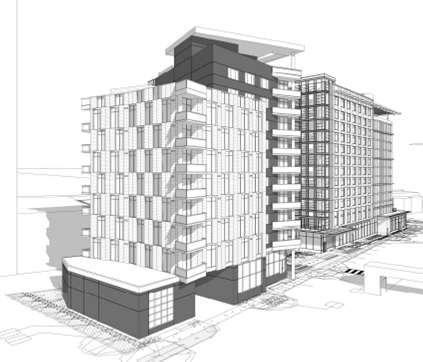 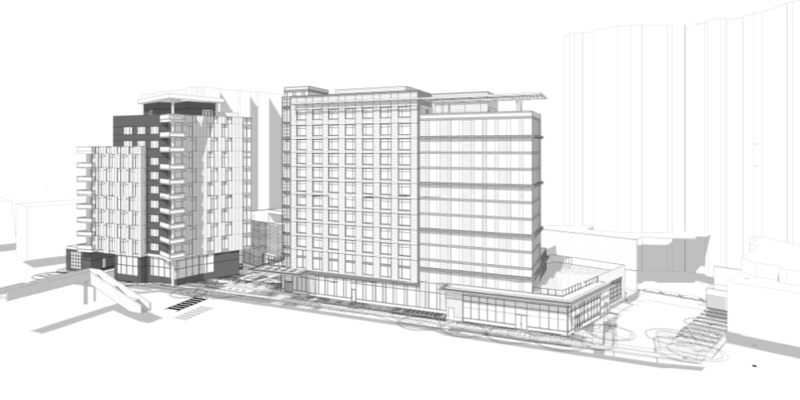 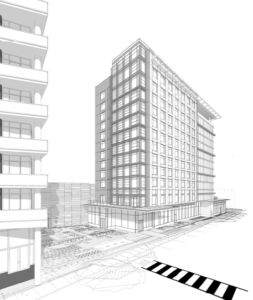 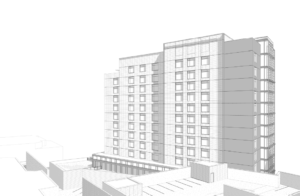 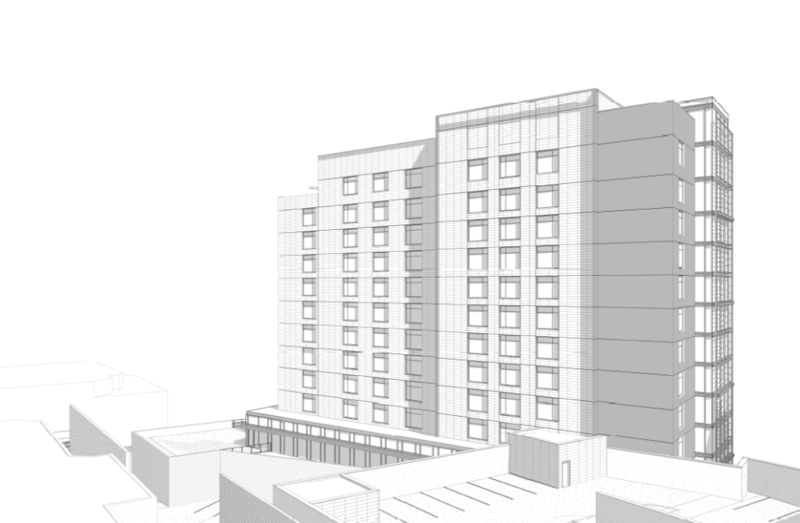 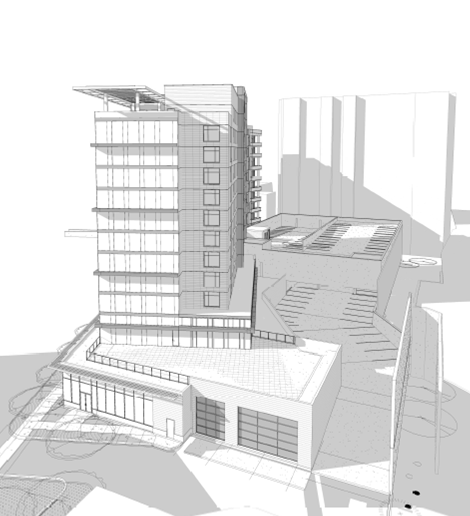 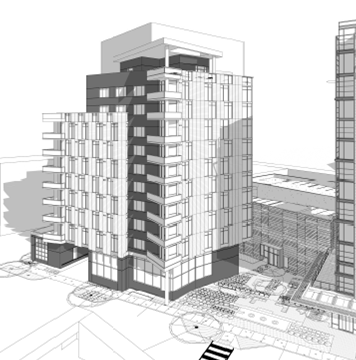 The applicant, Grant Investment Properties, LLC, proposes redevelopment of an existing hotel site with a 12-story hotel building, an adjacent garden apartment site with a 10-story residential building and an above-grade parking structure.